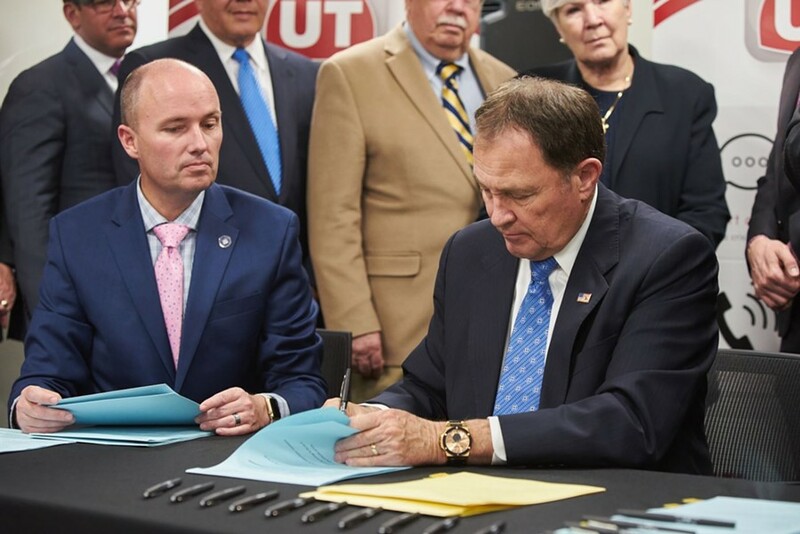 Governor ceremonially signs eight bills that address Utah’s rising youth suicide rate. Leaning heavily on basketball metaphors in a Tuesday afternoon press conference, Gov. Gary Herbert said state lawmakers and residents have to “put [on] a full court press” and work together in a “team effort” to decrease the state’s soaring rates of youth suicide. “We have a responsibility to do something,” he told the crowd gathered in the University Neuropsychiatric Institute crisis center training room, where Herbert signed ceremonial copies of eight suicide prevention and mental health bills. 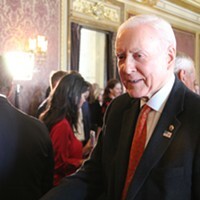 All formally signed in March, the bills attempt to combat Utah’s increasing rates of youth suicide by expanding the scope of suicide-prevention programs in schools, authorizing grants for school counselors and social workers and allowing people to contribute to the Governor’s Suicide Prevention Fund, among other provisions. Herbert announced the formation of a suicide prevention task force in January and asked its members to come up with possible solutions for the scourge of teen suicides sweeping the state. According to the Utah Department of Health, there was a more than 140 percent increase from 2011-2015 in suicides of youths between the ages of 10-17, compared to a national increase of 23.5 percent over the same timeframe. “We have a broad range of leaders who are telling you that it’s OK to not be OK, but we’re here to support you through that,” Myers said. At Tuesday’s signing Herbert stressed the “TEAM” mentality—“Together Everyone Achieves More”—in addressing the rising youth suicide rate, specifically mentioning the legislature appropriating money to suicide prevention programs and the use of strategic partnerships in combating the issue. “No longer shall we be blissfully ignorant about this significant problem that we have in our midst,” he said. 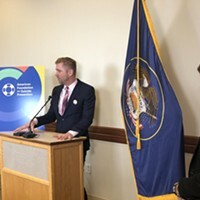 After the signing, Troy Williams, executive director of the LGBTQ rights group Equality Utah, said the eight bills are only Phase 1 of the task force looking at a “very broad perspective” of addressing youth suicide. “This is just the beginning of the dialogue for us,” Williams said. Next up is looking at suicide prevention of high-risk groups like veterans, Native Americans and LGBTQ youth. “We have to find ways of creating a culture of belonging,” he continued. 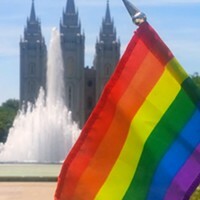 Of the 150 Utah youths who committed suicide from 2011-2015, authorities collected information on sexual orientation for 40 of the 10-to-17-year-olds. Of those, six were identified as sexual minorities. “I think that data is so incomplete,” Williams said of those numbers, adding that it would be helpful if the state were to include questions about students’ sexual and gender identities on the Student Health and Risk Prevention Statewide survey administered every two years to public and some charter school students in grades 6, 8, 10 and 12.